Yousef was at a football-themed birthday party today. His school’s last-day-party also has a football theme. Football fever is everywhere I look. Tonight is England’s first game. 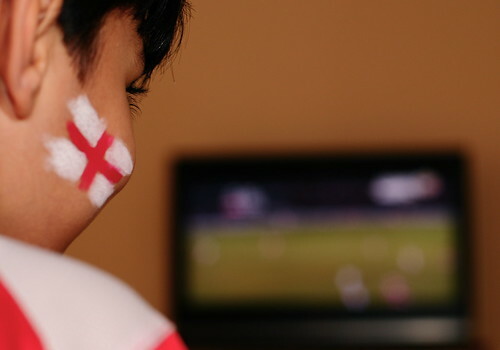 I’ve supported England for as long as I remember and, in true fatherly fashion, I’m imposing this onto my children. This is a great timetable which I came across on SomeContrast – please note the time difference means you add an hour to get Kuwait time. Whoever you’re supporting, enjoy the World Cup! Thats a fantastic photo! I don’t know who I’m supporting! Going to look for the underdog in the later stages! 🙂 hope he wasnt too disappointed! !